With lawyers who have worked many years in the field of securities, communications, real estate, SBLaw has one of the most competent legal staff that understands deeply about the operation of the business. – Advising on inefficient corporate reconstructive operations, including: Joint Venture, Joint Stock Company (Corporation), Limited Liability Company, the franchising company and office / branch representative. – Providing advice to businesses during the entire registration process and asking for the necessary licenses to operate in Vietnam. 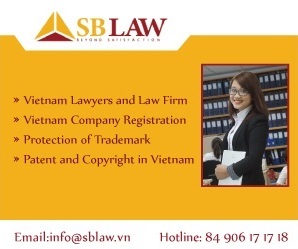 In addition, SBLAW also consult for enterprises about all the legal issues and internal matters in their business activities. Investigating and advising on tax issues; stock call option; privatization plans; rules, procedures and regulations in enterprise.